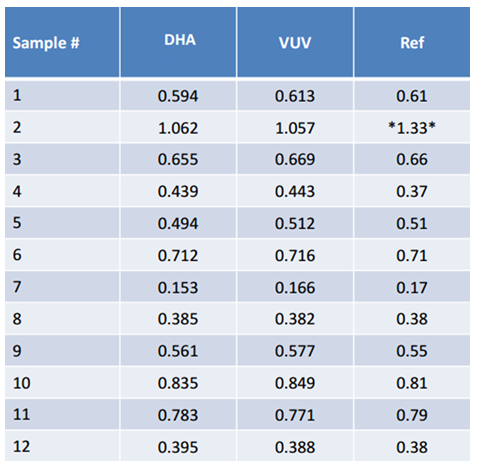 The analysis uses a GC equipped with VUV Analytics signature VUV detector, a single 30 meter column, and can be done in 34 minutes. 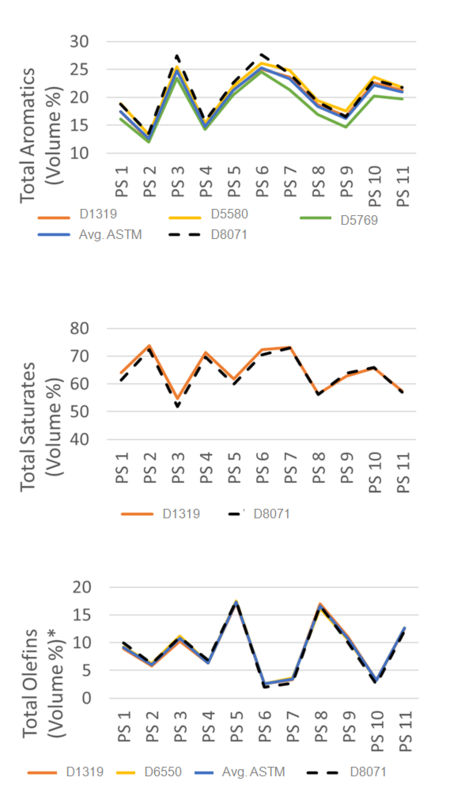 Less downtime for system maintenance; 1 day for VUV column change vs. 21-day Reformulyzer requalification. 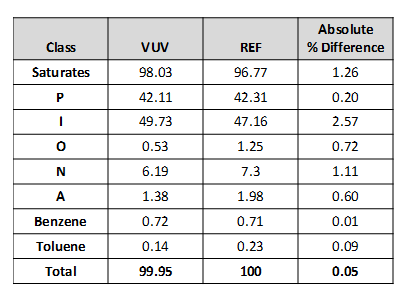 Analysis data of a 512 Gasoline Standard shows good agreement between the GC-VUV and Reformulyzer (Ref). 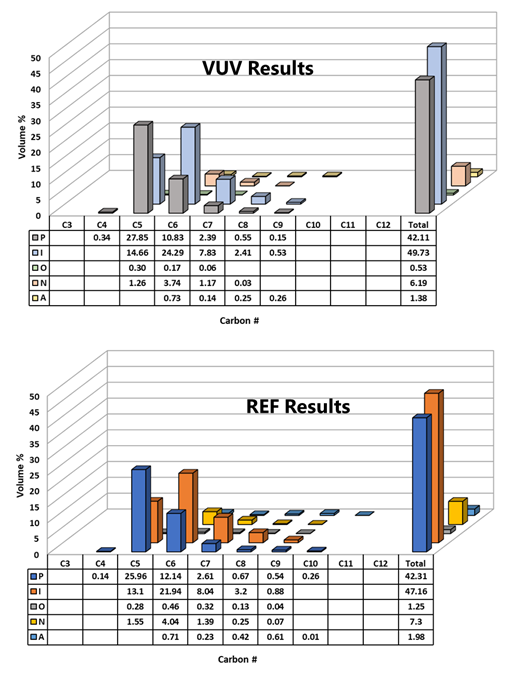 Comparative data for other sample types is available upon request (Reformate, Hydrotreater, Light Naphtha). Each compound class displays distinct spectral features. 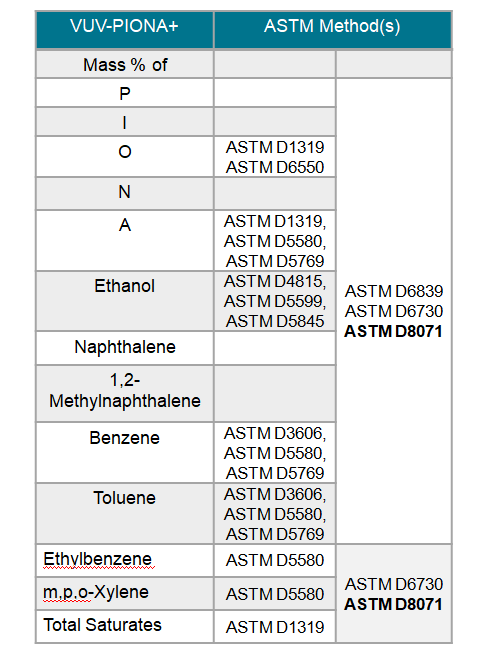 It is not necessary to speciate a compound in order to determine its group-type. 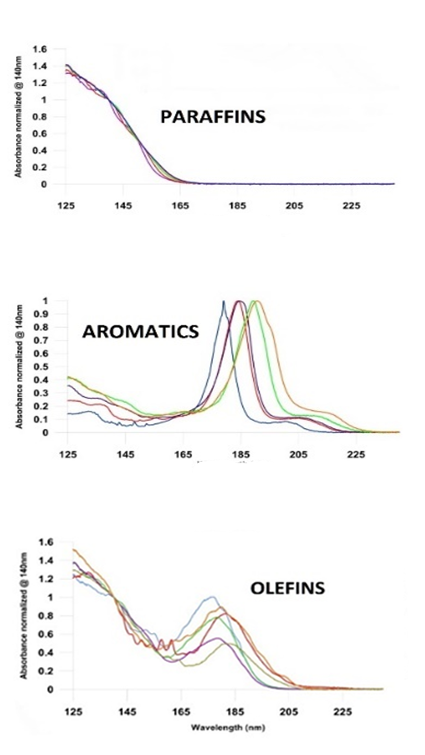 Key analytes possess characteristic spectral features. 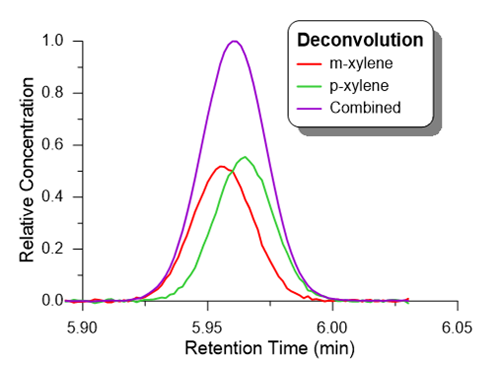 Identification and quantification is possible for co-eluting components using the VUV Time Interval Deconvolution (TID) software. Envantage engineers are factory trained and prepared to install and support the VUV Analytics VUV detector. 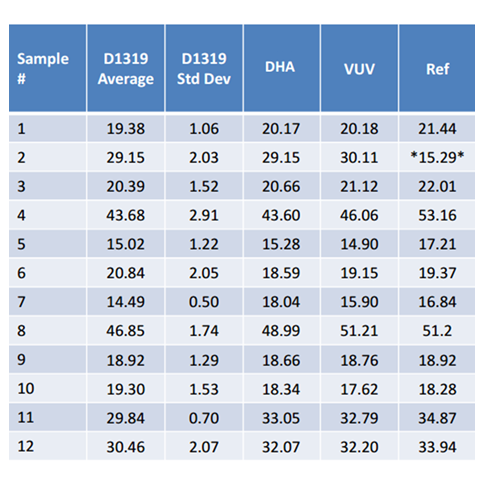 Training in the use of VUV AnalyzeTM software is provided. 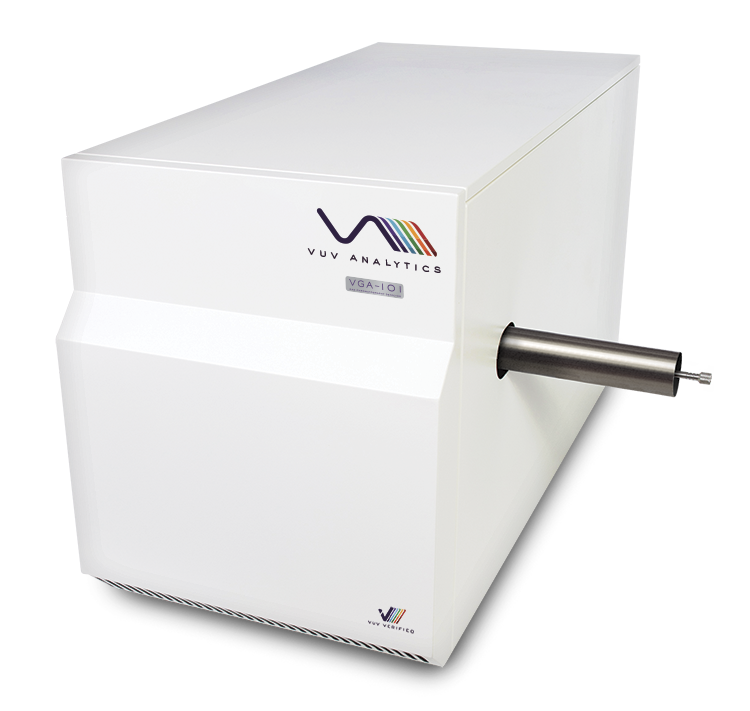 Contact Us to see if the VUV PIONA+ analyzer is a good fit for your laboratory. More comparative data is available upon request.